I should have produced this challenge years ago. Quite a few of my clients have requested this for themselves or for a family member or a friend. It is a challenge for the abs or core but for people who are suffering from lower back problems. 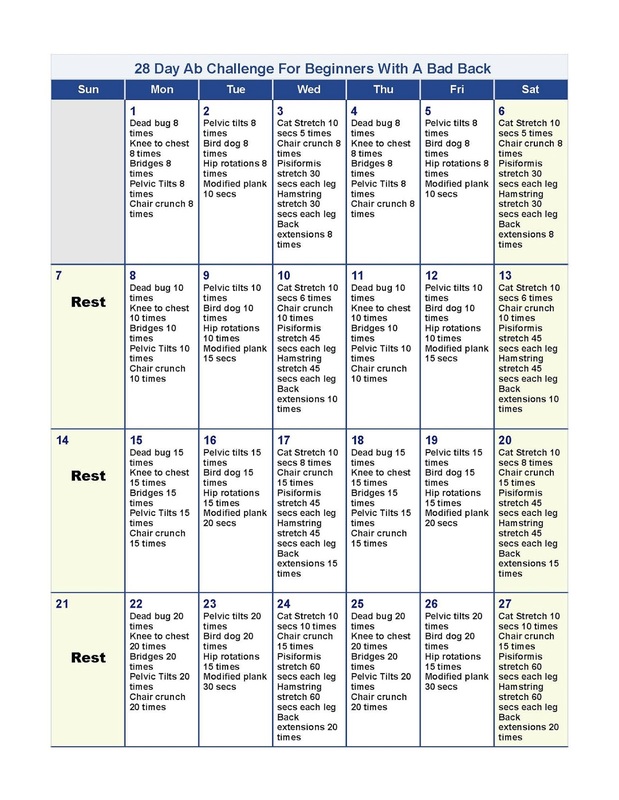 The exercises in the 28-day challenge are the same exercises I use on my clients after they have finished with physical therapy. 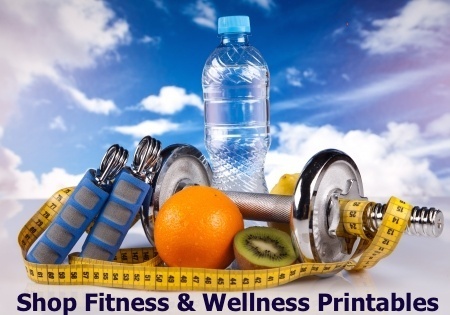 If you would like to do the challenge, ask your doctor first about doing this workout plan. When you start the program and you find that an exercise does not agree with your body or it is hurting in some way, you can omit it. 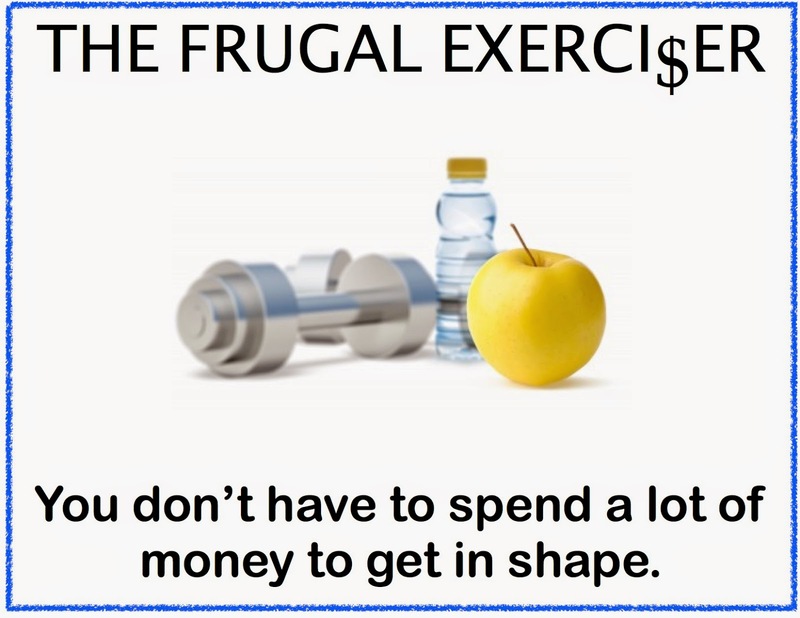 Also, feel free to add an exercise you would like to do or your physical therapist gave you and it is not in the below plan. This 28-day ab challenge is for beginners but I will add a couple of advanced moves if you can do them without problems. If you don't recognize the exercise by the name, you can just click on the name of the exercise and you will find a quick YouTube video that demonstrates the ab or back exercise. 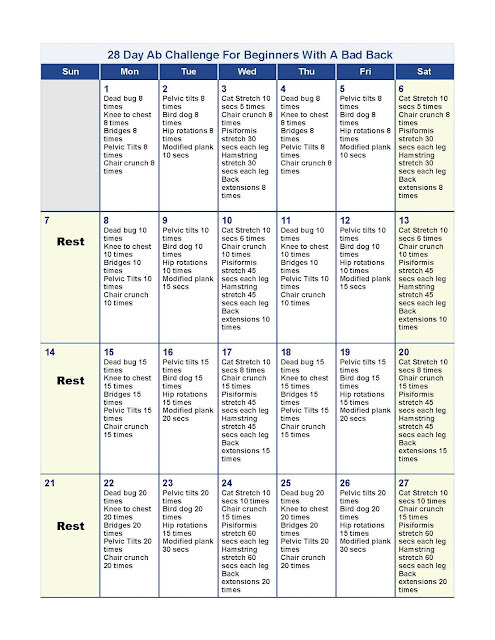 To print your own copy of the 28-day ab challenge for beginners with a bad back, I included it in a Google doc. Get it here. 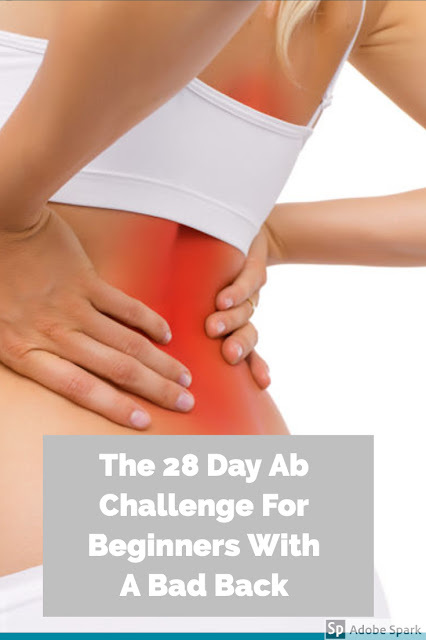 I hope this 28-day challenge increases your core (abs and back) strength so you can get back to doing your daily chores. Feel free to send me an email, if you have any questions. Try the 30-day ab challenge for beginners without back problems.